WASHINGTON, March 29. /TASS/. US State Secretary Mike Pompeo has informed Russian Foreign Minister Sergey Lavrov of Washington’s intention to introduce the second set of sanctions related to the Skripal case in a phone conversation in February, a US official told TASS on Friday. 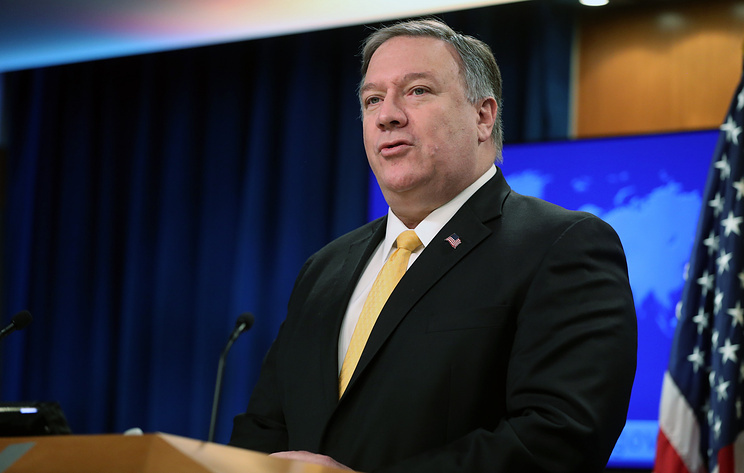 "As you know, the Secretary of State had a call with Russian FM Lavrov in February and informed him that the United States will be taking CBW Act related action," the official said. The US State Department press service refused to comment on reports by Bloomberg agency, which claims that the US officials have already prepared a sanctions package and are waiting for the White House’s confirmation. "We don’t preview sanctions actions," the US official told TASS. In August 2018, the US introduced sanctions against Russia under the Chemical and Biological Weapons Control and Warfare Elimination act of 1991 due to Russia’s alleged involvement in the attempted assassination of Sergei and Yulia Skripal. The same act establishes a second set of sanctions, which hasn’t been introduced yet. The Russian Foreign Ministry informed earlier that an introduction of a second package of US sanctions against Russia would be "absolutely unsubstantiated". "Concerning the US intention announced by the Secretary of State to impose new sanctions on Russia under the far-fetched pretext of last year’s murky incident with the poisoning of Sergey Skripal and his daughter Yulia in Salisbury, whom nobody has seen since then, Sergey Lavrov pointed out that this absolutely unsubstantiated decision would further complicate bilateral relations and the international environment," the ministry’s press service stated. On March 4, 2018, ex-GRU colonel Sergei Skripal, who had been convicted in Russia of spying for Great Britain, and his daughter Yulia suffered the effects of an alleged nerve agent in the British city of Salisbury. Claiming that the substance used in the attack had been a nerve agent allegedly developed in Russia, London rushed to accuse Moscow of being involved in the incident. The Russian side flatly rejected all of the United Kingdom’s accusations, saying that a program aimed at developing such a substance had existed neither in the Soviet Union nor in Russia. Britain’s military chemical laboratory at Porton Down has failed to identify the origin of the substance that poisoned the Skripals. The Russian Investigative Committee initiated criminal proceedings in connection with an attempt on Yulia Skripal’s life.